A Cappella - What Is It? A Cappella is a way of singing that does not include being accompanied by musical instruments. In Italian it means in the "style of the church or chapel". It is a concept that has evolved over the centuries and has a long history of use in a religious context. Pure vocal performance was used by our religious ancestors and it still being used today by the Catholics, Protestants, Jews and Muslims among others. A Gregorian Chant is an old form of A Cappella. In contemporary society, vocal performances come in many styles. You may be surprised to learn that included in the "A Cappella Style" are Doo Wop, Beatboxing and even some modern rock. Barbershop is associated with this style of singing. If you have ever seen a Barbershop Quartet you are probably familiar with their creation of "out of the ordinary" vocal sounds. If you've never had the opportunity to hear one of these groups, you are really missing a treat. Many times the performers try to imitate the sounds of instruments with not only their voices but their microphones and other electronic equipment, too. During the 1980's and onward, A Cappella has continued to grow in stature among music industry professionals. This has been due mainly to the fact that certain artists in the 1980's had success with this form of music and were quick to reach the top 40 music chart as a result. Among these great artists are, Bobby McFerrin, Manhattan Transfer, Huey Lewis and The News, The Nylons, and Boyz II Men. The success of these recordings and the diversity of style exhibited by the various recording artists helped to rekindle interest in singing without instrumental accompaniment. 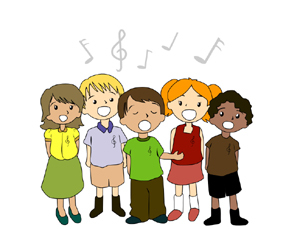 Kids realized that that their voices could be used in the same manner as the contemporary instruments used in rock recordings. Consequently, group membership among college students across the United States rose dramatically. Statistically, the number of groups on college campuses have grown substantially beginning in the 1990's. Where there were once just over 200 groups nationwide, their numbers are now well over 1,000. In fact, these groups may be found on most major college campuses today including, Georgetown, New York University, University of Pennsylvania, Indiana University, Brown, Yale, Dartmouth, Tufts, Penn State, University of Illinois and Northwestern University. Even on smaller college campuses you will most likely find at least one of these vocal groups. There are currently many Competitions in which the student groups participate. Sweet Adelines International, Harmony Inc., and The Barbershop Harmony Society are among the prominent groups who host various educational events and competitions. Several websites strictly dedicated to this singing technique have come into operation. They serve to provide distribution of recorded material, information, and to connect people with an interest in singing. Many a college student, who was a member of a group while in school, have continued to sing in groups of this nature after graduating. Forums help to connect those who desire to form and join such groups. Today vocal harmony, percussion, and instrumentation, has made its way into a large number of the music recording genres and is continuing to make headway. It is not uncommon for a group to release just the vocal tracks of a recorded song so that fans can "remix" the music. Beatboxing, or vocal percussion, a form of a cappella, has been added by many recording artists. Vocal "mimicking" of numerous instruments is also common among these professionals. It is truly a highly regarded talent. Bobby McFerrin became famous as a result of his ability to do this. Rap is often performed A Cappella. Many albums, recorded in the last decade, rely solely on vocal harmony and vocal instrumentation. With worldwide music distribution, A Capella is gaining many fans and a global presence. Now that you have an idea of how this form of singing came into popularity and the history of the genre, you may be wondering how this fits in with your musical theater aspirations. It's really quite simple. It is helpful to have, a least, a basic knowledge of this unaccompanied singing to advance in the musical theater profession. Many times, especially when you are first starting out, you may be asked to perform your audition song(s) a capella. Some theaters do not provide an accompanist at vocal auditions and ask the auditioning actors to sing a cappella or to bring a CD. There are also audition calls for performers who can sing a cappella harmony. One place where you will hear a lot of a this style of singing being performed is at the Walt Disney Theme Parks. If you are at all familiar with their audition notices you are aware that they call for many singers who can perform a cappella. This form of singing is performed in the theme parks both in barbershop quartets and in larger singing groups. If you are interested in attending a college or university that has either a school run or student run group of harmonizing singers. You can find a list of the college groups by clicking here. With your new awareness and understanding of this specialized form of singing, if you look around, you are sure to find additional opportunities to engage in this old world/new world activity.